The Philippines' leading budget airline, Cebu Pacific, expands its domestic route network and presence in Southeast Asia as it announces four new routes aimed at improving accessibility for travellers outside Metro Manila, but more so increasing connectivity within the region. 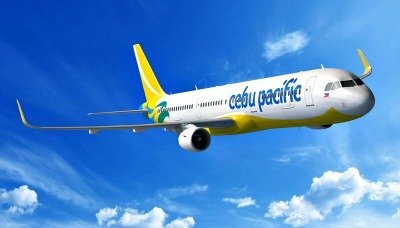 Cebu Pacific announced it would begin operations of a thrice-a-week Kalibo-Clark flight (Mondays, Wednesdays and Fridays) on October 30, 2017, linking Western Visayas, including the world-class Boracay Island, to tourists from North and Central Luzon, as well as foreigners via the Clark International Airport. The return Clark-Kalibo flight, on the other hand, begins on October 31, 2017 (Tuesdays, Thursdays, Saturdays). The carrier's wholly-owned subsidiary, Cebgo, will boost its presence in Northern Mindanao, through the Cagayan de Oro (Laguindingan) Airport, with new inter-island connections. Starting October 20, 2017, Cebgo will fly from Cagayan de Oro to Boracay (Caticlan); and to Dumaguete three times a week. "Cebu Pacific is very pleased to continue being a travel enabler to everyJuan as we further establish seamless connections not only within the archipelago, but to the rest of Southeast Asia. Sandakan has had centuries of trade and cultural linkage with the southern Philippines, and we are especially proud to put in place infrastructure to further enhance these ties. Now, the previous 14-hour travel by sea is cut down to just a 40-minute airplane ride," said Alexander Lao, President and CEO of Cebgo. The new Sandakan route under the Cebu Pacific network supports the drive for seamless logistics connectivity within the Brunei-Indonesia-Malaysia-Philippines East Asia Growth Area (BIMP-EAGA). Trade and Investment Assistant Secretary Art Boncato, Jr., Outgoing Senior Official of the Philippines to BIMP-EAGA, noted that with connectivity being a major pillar in the development of BIMP-EAGA, "The new route would offer better service to the traveling public and open greater opportunities for trade, investment, and tourism with Western Mindanao as a growing regional gateway to the Philippines." Created in 1994, BIMP-EAGA comprises the entire Borneo Island –which is divided between Brunei, Indonesia and Malaysia; Mindanao; and other Indonesian Provinces such as Sulawesi and Maluku. It was meant to harness capabilities to turn the entire area into a thriving economic and tourism center. "The opening of this air route is a clear manifestation that with strong private and public partnership, we can truly make things happen as one BIMP-EAGA family. We are already seeing this route to complement the proposed Tawi-Tawi Special Economic and Freeport Zone Development efforts, given that Sandakan is one of Mindanao's direct links to a larger EAGA economy," added Datu HJ Abul Khayr Alonto, Chairman of the Mindanao Development Authority. "The Department of Tourism welcomes the initiatives of Cebu Pacific to open more routes in the region. This will contribute to the attractiveness of Mindanao as a destination and go a long way in promoting BIMP-EAGA tourism activities," said Tourism Undersecretary Alma Rita Jimenez. To mark the start of the new domestic routes, Cebu Pacific is having an introductory, all-in seat sale of PHP599 until August 18, 2017, or while seats are available. Travel period is from October 20, 2017 to March 15, 2018. Flights from Zamboanga to Sandakan will also be on sale at PHP1, 299 until August 21, 2017, available for travel from October 29, 2017 to December 31, 2017. The Cebu Pacific route network is now comprised of 27 international and 37 domestic destinations. Its fleet of aircraft is comprised of three Airbus A319, 36 Airbus A320 and eight Airbus A330; while the Cebgo fleet is composed of eight ATR 72-500, and six ATR 72-600 aircraft.